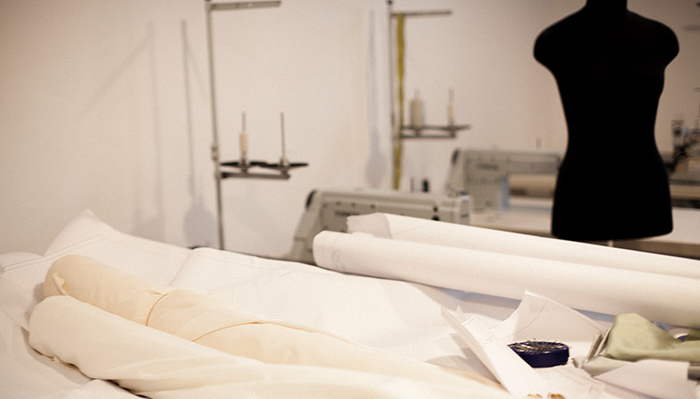 We process orders for individual tailoring of wedding and evening dresses. This service includes an individual design of a model and surely implies trying on. The calculation of cost is made on an individual basis. For sewing sizes over 54 by Russian State Standard an extra fee coming to 30% of the dress cost is charged. Individual sewing of a dress is a chance to create your individual image. In ordinary conditions to optimize the process of sewing and to decrease the final product cost dresses are made by the size scale of Russian State Standard according to the customer’s highest volume. Further adjustment is made either in the atelier of our partner (this service is paid separately and usually never costs more than 10% of the dress cost) or in any other atelier preferred by the customer who accounts for the pricelist of this atelier.